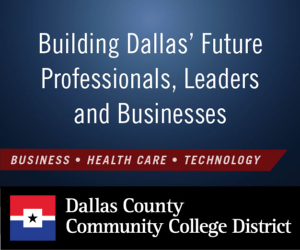 Technologically driven students of the Dallas-Ft. Worth area are being called to participate in this year's "Spirit of Innovation" Contest. The US-India Chamber of Commerce Foundation is in search of North Texas-based students for this year’s “Spirit of Innovation” contest. If you think you fit the bill, you have until Oct. 19 to apply. The two part competition is seeking to “support technology, innovation, and entrepreneurship among local students,” according to the USICOC. The contest is designed to judge applicants on both the technological and business-plan portions of their ideas, although technology makes up 75 percent of the overall scoring and business-planning makes up only 25 percent. The first prize winner will receive $10,000, technology mentoring, business-plan mentoring, and the opportunity to grow their network. All participating students are required to partake in both legs of the competition, and will in turn receive mentoring in both areas. Products and ideas are expected to be original and technology-based, as well as designed specifically to either make an existing product better or solve current problems in the community. The full list of competition rules can be found here. Students entering the competition must already have an innovative idea, or be able to present one by the first round of the contest. Similar to last year, eight teams will be selected as finalists by Nov. 6 and must confirm their participation by Nov. 9. “The feedback from a highly-educated group of judges was helpful in better understanding what we needed to do going forward,” 2014 winner Edward Allegra said on the USICOC website. Allegra is a former SMU BBA student and is the current CEO of BioLum Sciences. The technology competition will be judged on Nov. 16 and the business-plan portion will take place on Jan. 25, 2019. Both contests will be held in the DFW area. Applications can be submitted through the online portal here.